BEADING CONNECTIONS (original: “As miçangas das relações”) | NATÉRCIA TIBA - psicóloga, psicot. de casal e família e autora do livro "Mulher sem Script"
I feel privileged in the work I do. Quite often people ask me how I can spend all day seeing and listening to suffering, pain, problems, crying and even despair. There is indeed all of this, or at least a great deal of it, but what keeps me on the course is to watch people before me trying to find a way out of their unbearable anguish. It is not uncommon to meet with faithless people, who consider themselves a “lost case” and who are there only because somebody else asked them to look for help. Some have even been taken by their hands to my office´s couch. Whatever the reason is, the fact they are there is enough for me to admire them. But, where to start the fight when the battle has already been given up? I usually start by the “us”. When two people meet, there is the “me”, the “you” and the “us”. I believe the healthiest relationships are those which bring out the best in the “me” and in the “you”, thus creating a grand and respectful “us”. When the “you” is weakened, fragile or in great pain, the “me” is strong and may offer comfort and strength for a while. Even though it works as a countenance, it is the start of a long journey together. Usually these journeys are strenuous and demand bitter reunions with the inner self and with those so meaningful in their lives. But the fact there is an “us” makes the burden a little lighter. There are looks, smiles and sometimes even laughter. The path is unique to each patient and every 50 minutes (the time one session lasts) I embark into a new journey. I am indeed very privileged. Although powerless, they are there, and even those patients who feel wretched or those who have been taken to my office by a concerned and stronger “you”, they are trying to give their best, through a glance, tears or a deep silence. This is the decisive moment, whether we´ll make the journey together or break apart. My first concern is not the complaint itself but to forge the “us”, to establish a bonding that will grow steadily into surrender, understanding, trust and hope. What I want to tell today is the birth of an “us” that has deeply touched me, between the “me”, a 36 years old psychotherapist and a tiny 3 years old “you”, a beautiful girl with porcelain skin and brown locks. That would be her first session with me. I usually don´t treat children of such a small age. In most cases, when children are below 4 years old I would rather see the whole family or give advice to parents. But, in this case, after a session with the mother, I thought it would be important to see the little girl alone. 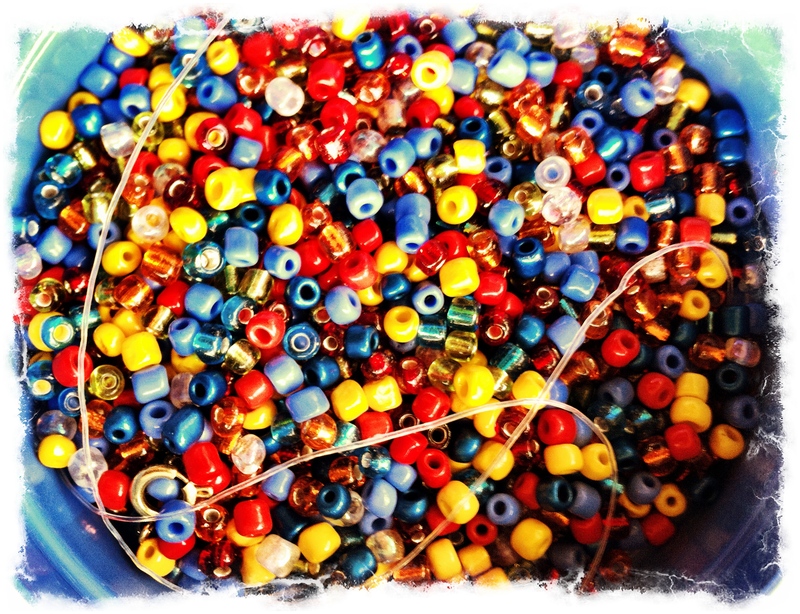 When I arrived in the waiting room she was seated between her mother and a big box of colorful beads: in her little hands she was holding a half-made necklace. With an impressive dexterity for her young age, Marina, as I will name her here, pulled the string up and put it precisely in the eye of the bead, so small that it could almost disappear in the middle of her little fingers. I greeted the mom, whom I already knew, and Marina whispered a timid “hi” without stopping her beading. There were only the three of us in the waiting room and the scenario of having Marina working on her necklace was very appealing to me. I love handicraft work and the colors of that box had hypnotized me. I sat near Marina, by the box of beads, and asked what she was doing. She answered she was making a necklace and that there was still a lot to be done before she would finish it, as if saying: “I am not going anywhere right now”. I asked if I could take a pick inside the box, and she answered with an agreeing nod. I was really mesmerized by all those colors and glitters and (maybe because I am a mother of two boys) by the pink nuances that are usually not part of my universe. For the moment Marina was offering me the possibility of going through her box, – a really big deal – considering I was a total stranger. I kept exploring very carefully, asking who had done all those bracelets and necklaces that were already finished; little by little I was introduced to many important people in her life: her aunt, her godmother, her grandmother. They were all there, represented by those pretty and colorful necklaces and bracelets. I hold each necklace, each bracelet in my hand, but did not put them on. We were not so familiar yet. Marina, a “very experienced” 3 years old said: “These are made out of silicon strings, not nylon. The nylon string breaks up when you stretch it too much but this one doesn´t, this stretches a lot.” I immediately remembered her mother´s comments on the difficult situation Marina was going through and thought about the metaphor of the string. No doubt Marina was like that silicon string and was being stretched to her limit. But, if she were a nylon string, she would certainly have been broken (emotionally this means she would had been destroyed). We spend around 10 minutes discovering one another through the box. Slowly, she asked me if knew how to make necklaces, what were my favorite colors and, then she realized the “you” before her, very interested in her world. I took the chance and invited her to continue our meeting inside my office and she said: “Yes, but, can we take the box”? I agreed. “Of course, I never thought we would leave this marvelous box behind. Let´s take it with us!” And she replied: “Ok, so I´ll carry the necklace like this, so it won´t fall and you´ll take the box. Do you think you can carry it? It is very heavy.” And there we went, as partners, walking down the corridor towards my office. What a beautiful metaphor we found! I knew very little of her history: I knew she had a rich inner world, that she is above average for her age, but also knew that a straight look could be invasive. So, the box of beads was a real treasury to our approach process. As soon as we came into my office she went straight to the couch and I followed her, being very careful with the box. My inner world is also very rich and I thought of the symbols embedded in the situation, the meaning of the beads, the sparkles, the vivid and intense colors that Marina showed only to those whom she chose, only when she wanted to. To a certain extent we are all like this, aren’t we? We all have our colorful and beautiful beads but are not always willing to reveal them. We are actually afraid they might be seen as lack of commitment to life, a lack of responsibility. After all, as we grow older the colors start fading away and before we realize we are immersed in a black and white world, in a canvas covered with shades of gray. Besides the beads, inside the box there were also little bins to keep them organized: small, round, transparent bins. Marina made a proposal, all excited: “Can we put the beads away in the little bins?” We started putting the beads away very neatly and carefully. As soon as they were full, we put the lids on then I asked her to line them up on the table by the couch, where the sun was shining. She loved the idea and we kept going: we put every tiny bin under the sun and the beads shone more than ever. At that moment, the box represented her inner world and I thought it was very important for her to notice that, in that special place, we could bring light into her world and enjoy all the beauty beaming out of it. We were watching it quietly when she said: “Now let´s put beads of different colors.” And then something unexpected happened. Marina opened one of the bins, the one with the tiniest beads, itsy-bitsy brilliant balls and, “by accident”, dropped them all on the floor. The beads jumped up and down in the room and the floor gleamed covered by those tiny little balls. At first I thought it was fantastic, but then I looked at Marina and realized she was very disappointed, murmuring: “I cannot pick them up. They are too small”. Then I had the opportunity to show her how much I wanted to help her and that I was able to collect anything she would spread or spill: pain, tears, fears, misunderstandings, conflicts or even beads. I asked her to sit in a corner and, very gently and using my oriental patience, I kept picking one by one, putting them inside the little bin. They were so minuscule I couldn´t pick them up with my fingers; I had to press my fingers down on the beads until they stuck on my skin so I could put them inside the bin Marina was holding. Marina could not hide the bewilderment on her face, watching me collect her beads. Little by little she started tipping me: “Look, there is one there! Now, under the couch! Oh, there is one there you won´t be able to reach it. Yes, you did it!” And so we kept doing it until there were no beads left on the floor. Then I told her that box kept many precious things and that we would take great care of it. We put everything away and closed it. We were ready to begin our journey. The “us” was built through a mutual surrender. What a special and unparalleled moment! All of this may seem like a “trip”, a mere interpretation of signs. But the final result, the way we connected after this moment only gives me confidence to think the situation was the opportunity for my “me” to find Marina´s “you”. Everything was laid out there: the richness of her inner world, my interest and curiosity for her, my enchantment, my capacity to respect and to nurture her, the possibility of spilling and outpouring and yet coming out in one piece. This is the child´s language; this is the child universe: beautiful, pure and magic. It is too bad we let it fade away and let everything become so more complex. I am telling you about a therapeutic session, with some peculiarities, but do you think in the day by day relationship with our families we ever stop to look and be dazzled? 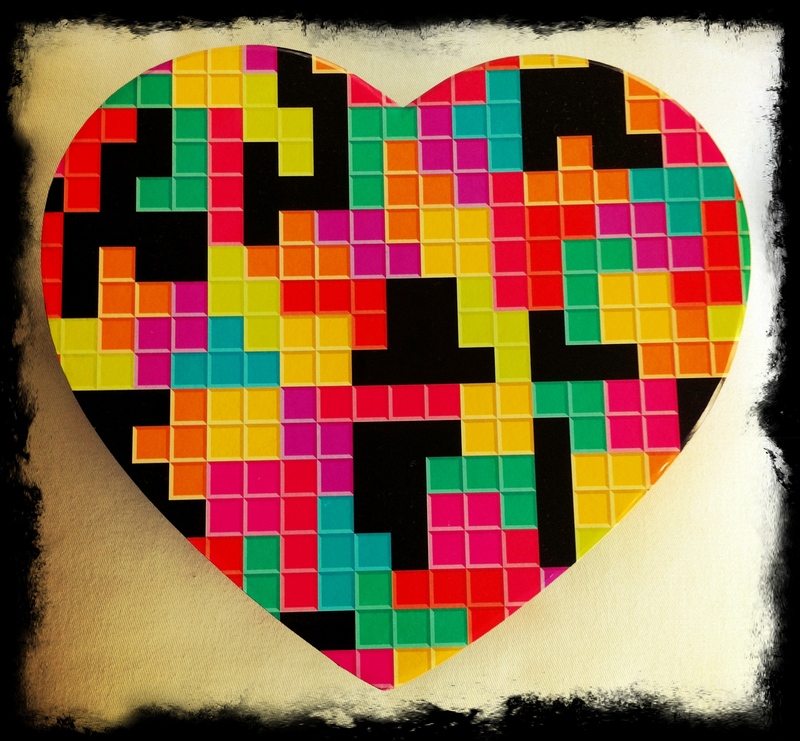 Do we help others to pick up their pieces shattered by devastating pain? Moreover, do we trust others so they can help us to collect our own pieces, those that created fear and distress? The bonding, the encounter: a precious and delicate source of life, of love. The “us” that make us humans, considerate and accomplice of such a delicate and agonizing condition: being alone in the world; alone but together forever.